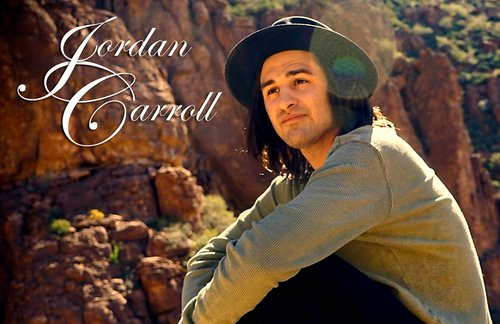 Home » Main Menu » News » Jordan Carroll releases new single called ‘The Wind Will Blow Us Home’. Jordan Carroll releases new single called ‘The Wind Will Blow Us Home’. Jordan Carroll is a singer songwriter with some real talent. ‘The Wind Will Blow Us Home’ is his latest single and is a beautiful rock band love song. I am impressed with Jordan’s vocals and the way that I feel when I listen to this song. It is impossible not to listen to it all once I put it on. I love the meaning, that he is not going to waste his time on wishes as he has what he needs. What a message that the world needs to hear right now! Jordan has also released a music video that you can watch below. The backdrop to the this video is the Arizona desert and with Jordan singing with emotion in his voice. I encourage you to watch and I hope you enjoy listening to ‘The Wind Will Blow Us Home’ as much as I did. Follow Jordan on Social Media here.